Need a quick energy-boosting snack? 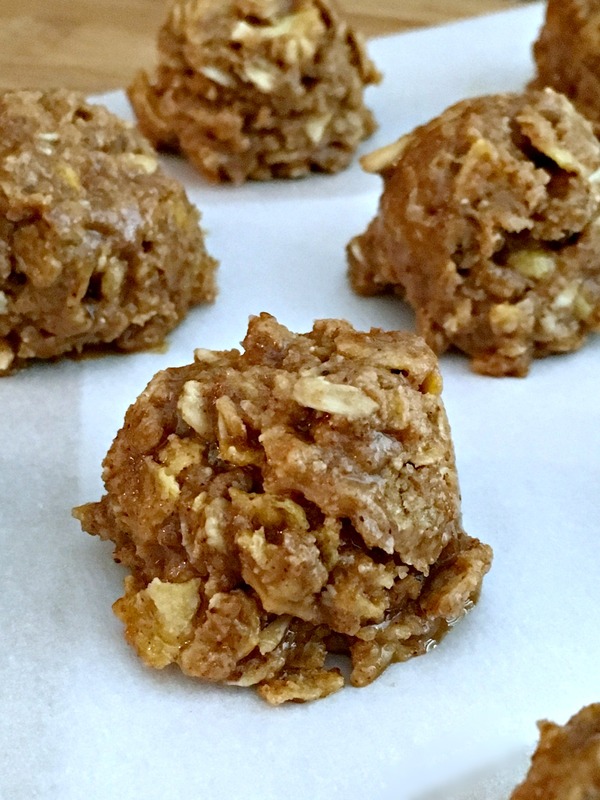 These Honey Almond Energy Bites are so easy to make, taste like cookies and best of all, don’t need any baking! If I feel a drop in energy or need a snack to hold me over until dinner, I just grab a couple of these Honey Almond Energy Bites and I’m good to go! 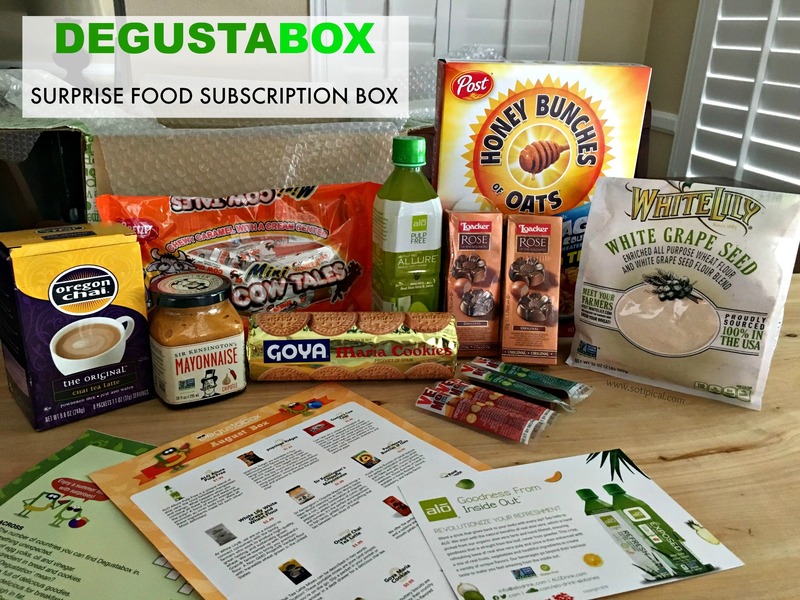 They’re also great with a cup of Oregon Chai Tea latte, which is one of the items I received in this month’s Degustabox! Combine all dry ingredients in a medium bowl. In a small bowl, blend the raw honey with the almond butter until smooth. Gently fold the almond butter mixture into the dry ingredients until well blended. Roll into 1 inch balls and place on a cookie sheet. Refrigerate for 30-60 minute, then enjoy. Store in an airtight container. Since my almond butter needs to be refrigerated, I opt to store my Honey Almond Energy Bites in the refrigerator as well. My kids snacked on them and mentioned that they tasted like granola bars, only better! You may wonder why I added the White Grape Seed Flour to my recipe. Of course this is optional, but the reason I chose to include it is because I have seen Grape Seed Flour pop up on recipes here and there. I have heard that grape seed flour is rich in antioxidants and is a good source of healthy fats, magnesium, protein, iron, calcium and fiber. When I got a bag in my Degustabox, I figured it would be a great addition to my recipe! 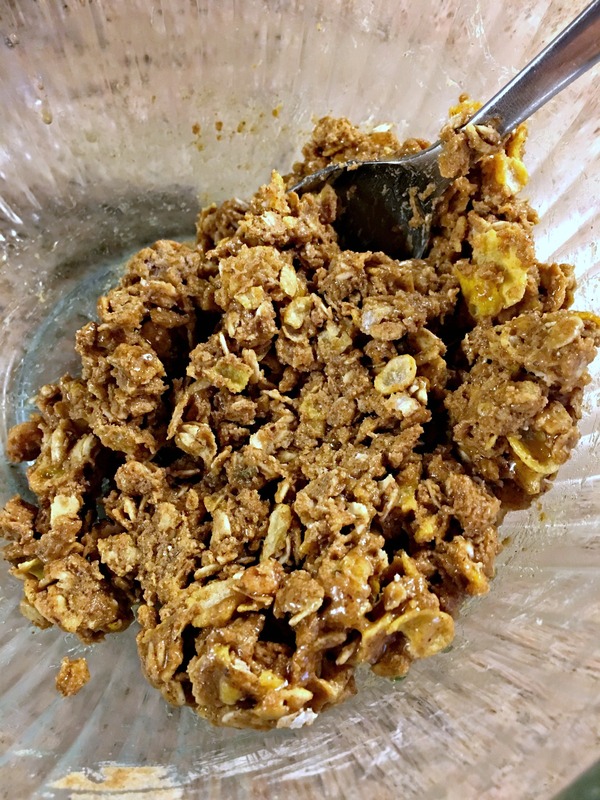 Hope you enjoy this recipe for Honey Almond Energy Bites! Keep an eye out for two more recipes that I will be sharing in the next week or two, using more items received in this Degustabox!